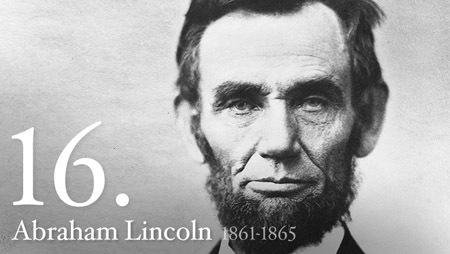 Abraham Lincoln’s Emancipation Proclamation only applied in the seceded states, the Confederacy, where, until the UNion won the war (except behind Union lines when and where they were not pushed back) Abraham Lincoln’s authority as President of the Union States did not extend. Black slaves in Union slave-state had to wait for the 13th Amendment to free them. Brown slaves, in the new (since 1847) American Southwest, known as “peons”, had to wait until 1912, for a U.S. Supreme Court decision affirming the 13th Amendment applied to them. And women, because the Roe v. Wade decision was crafted to avoid recognition of the 13th Amendment applying to them, still ‘enjoy’ slave status in the United States, which is why there can be legal argument in regard to how much who of their owners have control over their reproductive capabilities. A Happy New Year of the same old duplicities. “others of the colored people joined in; some whites on the platform began, but I motioned them to silence.” Didn’t want to integrate then, and they still don’t..
PS Joe, you were fortunate to chat with Ludwig v Beethoven? “The vibrations on the air are the breath of God speaking to man’s soul. Music is the language of God. I read Higginson and Joe with different possibilities. Higginson may have bid the whites to be silent because it was a special moment for blacks that they could finally have to themselves. Joe, of course, can speak for himself, but my guess is that he heard this quote from someone that did not cite Beethoven. But I do thank PJ for the original source. â€œThe vibrations on the air are the breath of God speaking to manâ€™s soul. Sometime long ago when I was a young musician, someone once told me how music was God’s first language, and I believed them.